Do you ever just want to get up go? Well, we’ve put together some great ideas for you weekend warriors who just need to get away. Here are a few quick roadtrips that every San Diegan should experience at least once in their life. There’s a Bear Grylls in us all and Joshua Tree is the place to unleash your rustic outdoorsman side. 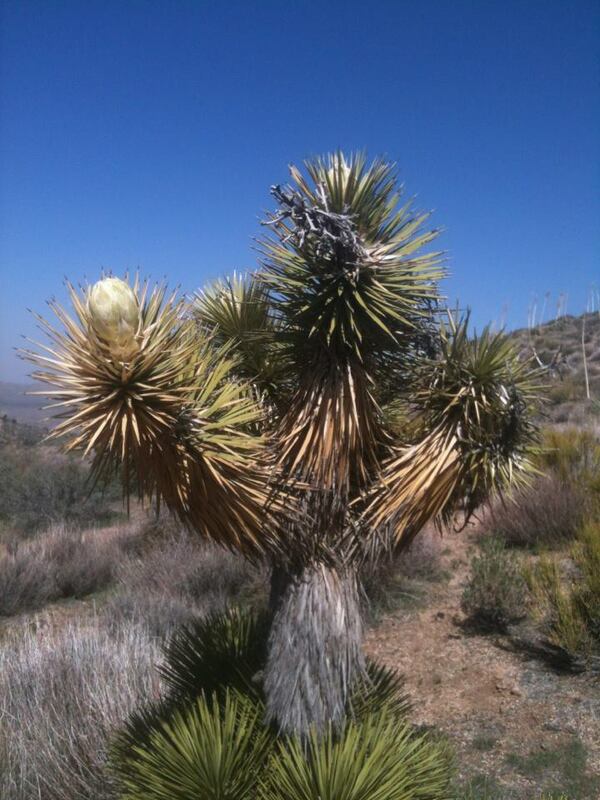 With miles and miles of Joshua trees and desert chaparral, the scene is like that of a fairy tale. The surrounding area makes it impossible not to explore what’s around you. The trails can be pretty unforgiving during the hotter months; we are in the desert. However, no desert is complete without thriving oases. Spend your day hiking to one of five of these desert oases and you’ll finish your day feeling completely accomplished. Need more of a challenge? Joshua Tree welcomes rock climbers and boulderers from around the world! There are thousands of climbing routes available no matter your climbing experience. However, be sure to come accompanied with an experienced climber to avoid any possible injuries during your endeavour. If driving non-stop you’re looking at a two and a half hour drive from El Cajon. This route takes you through the vineyards of temecula as well as just outside of Palm Springs. So, if you’re looking to make this a long weekend, there are plenty of fun destinations along the way! Sometimes you just gotta float. For the most part this is not exactly a relaxing experience, but an all out party. Salt River Tubing is an experience like no other and it’ll cost you next to nothing (once you get there). Here’s the gist: park, grab a tube, take a shuttle to the top of the river, float back down to your car. If you’re a River Rat, you know that beer goes hand-in-hand with floating. So, you will probably need to rent a second tube to squeeze your cooler into and be prepared for a little bit of public drunkenness. Here are a few essentials for your trip to the Salt River: sunscreen, waterproof bags, and rope to tie you and your friends’ tubes together. This venture is a bit of a trek so you might want to save this trip for a three day weekend. It’ll take a little over five hours to drive out there and another day of recovery time. So, you’ll probably want to make a reservation at a nearby hotel or stay with a friend. Remember, to always drink responsibly. Bring a sober driver if you plan to partake in the Salt River’s drinking past time. Apple picking, wine tasting, and devouring a tasty pie is what Julian is all about. If you’ve never given Julian a visit you are missing out on this small town, country experience. There are horse and carriage rides available to those who prefer to have more of a guided tour, but the town is small enough for you to just stroll up and down the streets. If you’re a wine lover there are several little spots to give your tastebuds a tannen treat – Witch Creek and Blue Door are probably the most popular stops in town. Not a wine drinker? Check out Nickel Beer Co. and enjoy a hoppy refreshment! If you prefer to avoid adult beverages altogether, there is still plenty to do in this historical little town. The Julian Pioneer Cemetery is enough to give you chills and plenty of photo opportunities with its rustic designs and historical grave sites. You can also get the group together for an Old Time photo. Who doesn’t love dress up? Don’t forget, your trip to Julian is never complete without a visit to Julian Pie Company where you can buy by the slice or take a whole pie home. My personal recommendation – the dutch apple. You can’t go wrong with an all American apple pie with a sweet crumb top! The trip out is only about an hour drive giving you the option of making this road trip just a short day adventure or, if you’d prefer, book a room at the Julian Gold Rush Hotel and make a weekend out of it!